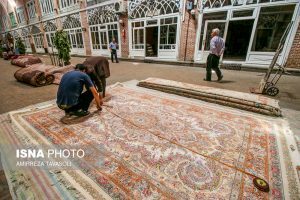 Tabriz has been a place of cultural exchange since antiquity and its historic bazaar complex is one of the most important commercial centres on the Silk Road. - IRAN This Way: Become familiar with Iranian lifestyle! Tabriz has been a place of cultural exchange since antiquity and its historic bazaar complex is one of the most important commercial centres on the Silk Road.